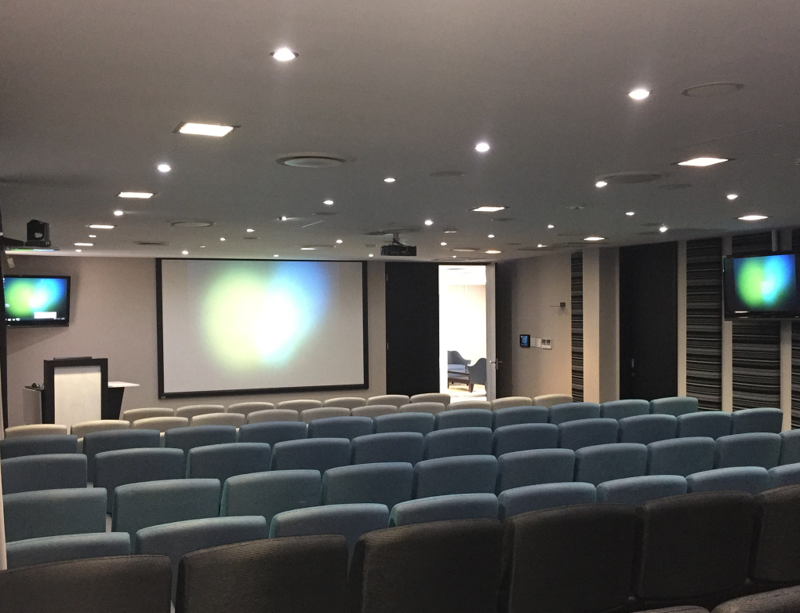 AVC was contracted to upgrade a customer’s existing Auditorium and two meeting rooms. 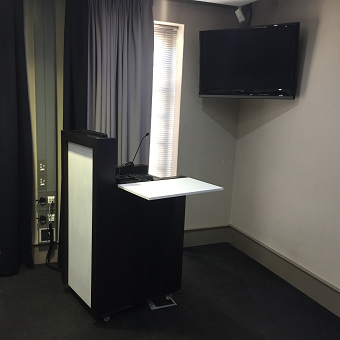 Each room needed to be used individually, or be able to be used in a combined mode to send over flow AV from the Auditorium to the meeting rooms. Extron Control System for all AV devices, switching lighting control, volume control etc. Any source can be displayed on all three rooms displays. 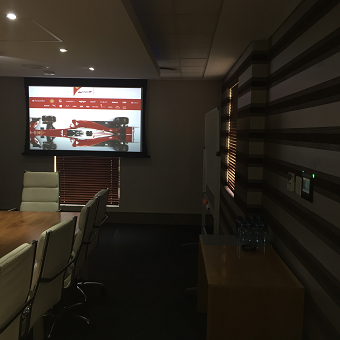 Meeting Rooms AV equipment can be controlled from Auditorium touch panel. 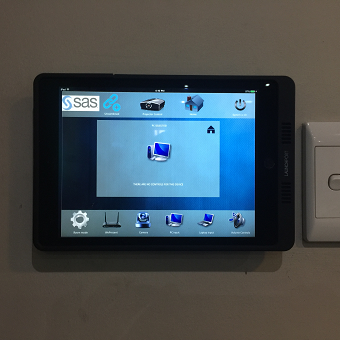 Apple iPad used for Auditorium control interface with Launch Port sleeve and inductive charging base. 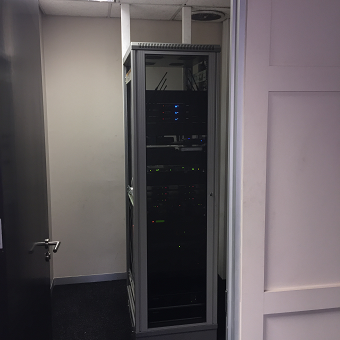 Alfatron SC61E Switcher Scaler for local source switching in each venue. Alfatron TPHD-70 HDMI over CAt6 extender sets. 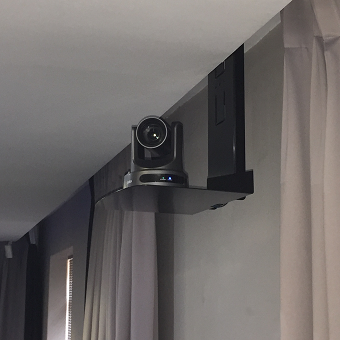 Optoma W341 projectors for Auditorium and Meeting rooms. 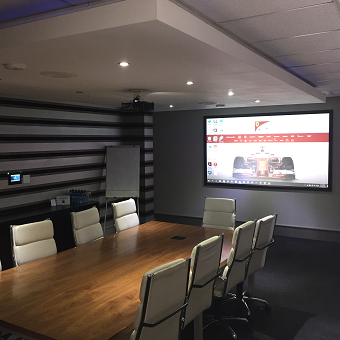 Elite Fixed frame and motorized tab tensioned screens in Meeting Rooms. PTZ optics Camera for HDMI and USB sources.